Greetings of the most high. We come forward in this hour of your time with much to share with you dear ones. For the sensitive among you, you will be aware that there has been vast changes occurring in the electromagnetic grid that surrounds Gaia and this is even being measured by your crude 3D instruments. What is known as the Schumann resonance has now spiked at 90 Hz which is unprecedented. Please note that your planet is aligning with the frequency that it was vibrating at before the great fall of Atlantis and this is crucial for you all to know as there is a huge connection with that timeline and what is occurring for many of the 144,000 illumined twin flame soul group. The changes in the electromagnetic field are being measured via the density of the shield that surrounds Gaia, which is currently becoming thinner and thinner. All of this is activated by the bombardment of photonic light particles that are relentlessly making their way into the earthly plane straight from the heart of the galaxy. All of this is due to the precession of the equinoxes that occurs every 26,000 years and it is this which governs the evolution of the collective consciousness of humanity. This bombardment of photonic light particles has increased in intensity and has reached unprecedented levels and for many of you this is manifesting as certain issues with your health, with either brand-new health issues arising, or old health issues flaring up at this time. For those on the Ascension path many of these health issues are in fact an extremely positive sign as it means very old stagnant energy is being stimulated to be finally cleared and purged from your physical and emotional body, if you were not experiencing the symptoms and this energy remained stagnant, it is this which then manifests as far more serious illnesses along the lines such as cancer and neurological imbalances. support your vessels by taking the appropriate rest, supplements and organic diet that your body requires, also if your intuition is guiding you to go for tests via the allopathic route please take heed, and then look into addressing any imbalances with supplements, vitamins and correcting your diet and hydration. Please know dear ones that these issues are occurring for many illumined ones at the moment and is precipitating a another huge rise in your vibration so stay calm, follow your intuition, and trust in your bodies innate wisdom to align itself with perfect health and well-being. Dear ones, as we have mentioned before in this written transmission, there is a huge influx of light that is currently bombarding Gaia, and this light is particularly working with the divine masculine consciousness at the moment. For many in the illumined twin flame community there is still what appears to be separation between you and your twin flame on the physical plane but from the higher perspective, nothing could be further from the truth. At this conjecture it is imperative that we remind you dearest Divine feminine consciousness that your higher self has orchestrated these periods of physical separation from your twin in order to assist you to reach full illumination and alignment in your own divine essence. If this were not the case and you had not stabilised in your illumination frequency, it is quite likely that if your divine masculine twin flame came back you prematurely this would encourage a very old template of codependency to be activated as well as a soul destroying dimming of your light frequency. However as we have stated over and over again in all of our written transmissions, this is not acceptable by the higher self in a twin flame soul contract. One is permitted to get away with these disempowered timelines in soulmates contracts, but these old patterns are simply not permissible in the twin flame divine union template. It is imperative divine feminine that you stand strong in gratitude and in your full radiance unconditionally regardless of whether you are in physical union with your twin flame or not and it is imperative that you wholeheartedly surrender and fully commit to resting in present moment awareness whenever you naturally remember to do so throughout your day. This is the most potent tool available to you, to align with the codes of your full living mastery, and believe us when we say, that it is this which you promised your beloved twin flame you would do. Your higher, self Mother Father God has a meticulous plan in place to bring you into union with your genuine bona fide divine counterpart. For many of you this is dependent on releasing all hooks and attachments that you have with your catalyst twin……. if you are involved with someone who you feel unhealthily attached to, and who is offering you no hope what so ever of resolution and is causing you far more suffering than joy and awakened knowing, then the chances are that this is a catalyst twin scenario. As was explained in the last written transmission this gateway will witness the shedding of many of these connections simply because the current energetics cannot support illusions anymore. Dear ones if you find yourself in connection with those whom you do not define as your twin flame yet these connections are harmonious and deeply soul nourishing to you you are advised to remain committed to these connections as these positive emotions are indicators from your higher self that you are where you are meant to be, So please trust that in truth the soul has no interest whatsoever in labels it is only ever about the love connection and union, and if you are experiencing this beloveds keep saying yes. Dear ones we would like to inform you that our beloved channel will be facilitating the third part of the transmission series that began at equinox and the second one was on the 4:4 Gateway and the final one will be at Beltane. This is extremely important work that this soul group has been called to oversee, and the equinox and 4.4 transmissions were preparing the way for this gathering. It was imperative that the Divine feminine reclaimed all lost and stolen codes of self worth during the 4.4 gateway in order to vibrationally support the divine masculine as it makes a monumental timeline jump into full spiritual awakening. During this transmission we are being guided to reunite Osiris the divine masculine with his lost 14th piece which is in fact his phallus, this is a monumental ritual that we will be overseeing which is set to radically transform the divine masculine consciousness en masse. We will be focusing on clearing much shame and guilt and dark programming that the masculine has been subjected to and please know our divine assistance is profoundly required at this time. This is a highly ordained initiation that we are being called to co-create with the highest angelic masters overseeing this particular ascension gateway. 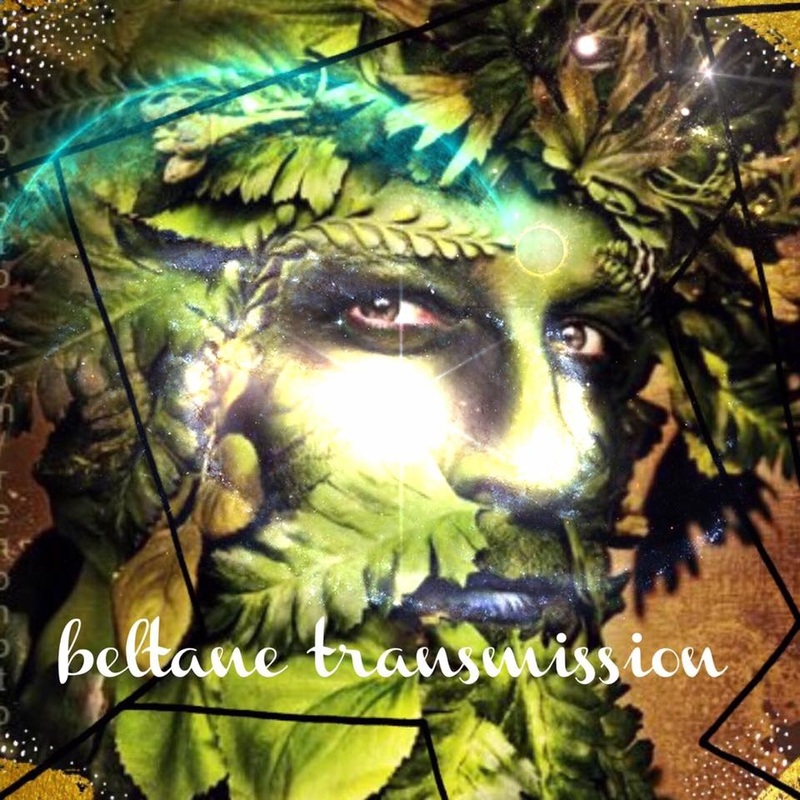 The Beltane transmission will also bear witness to an anointment ceremony of the Christ self within, again this is crucial that this takes place at this time in order to send out cohesive christ self energetics into all of humanity, to assist the collective consciousness to align with their own Christ self template. This is the greatest act of empowerment that a soul consciousness can experience and you are wholeheartedly invited to come forward to be part of this initiation ceremony. For those who come forward to add their energy to this ceremony there will be many powerful shifts that will be activated in your own personal timelines and a profound alignment with joy bliss service and fall self-mastery. This is the journey of all souls on the 3rd dimension, to align with this, and by being part of this gathering, this will profoundly fast track you with regards to your own evolutionary destiny. It is imperative that the soul consciousness participate in this level of ceremony and initiation as it is only within these conjectures of the timespace continuum that transformation and significant upgrades can be fully actualised by the self…. the eye am presence within.